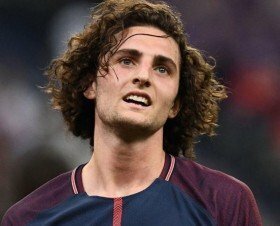 Arsenal back in for Rabiot? The France international has been with Paris Saint-Germain since the beginning of his professional career but he is expected to leave in the summer after snubbing a contract extension. According to The Mirror, Gunners boss Unai Emery is a keen admirer of the Frenchman whom he had managed at Les Parisiens during the previous two campaigns. It is added that the Spanish tactician may seek to lure the 23-year-old on a Bosman move ahead of the likes of Barcelona and Tottenham Hotspur when his contract expires in the summer. Rabiot has made 20 appearances for the French champions this term but none of those have come since the turn of the year with the midfielder being dropped to the reserves shortly after declining to renew his contract. Arsenal had recently been in the market to pursue Denis Suarez on loan from Barcelona but they could make further midfield reinforcements in the summer with Aaron Ramsey tipped to join Juventus.